The flagship event of the annual tourism calendar, World Travel Market (WTM) once again arrived in London this week, and the event statistics are staggering. In its 37th year, the 2016 edition is expected to bring together in excess of 50,000 travel professionals, including industry representatives from over 5,000 exhibitors, covering 182 countries and territories. From luxury travel to eco tourism, social influencer marketing and digital trends, to the latest technologies built specifically for the travel sector, WTM leaves no area of the industry uncovered. As day one draws to a close, for me the most interesting part of today’s agenda came courtesy of the folks at Traveltech Lab – a co-working innovation hub for emerging travel tech companies, who sponsored a session on ‘The Next Level in Travel Technology’. 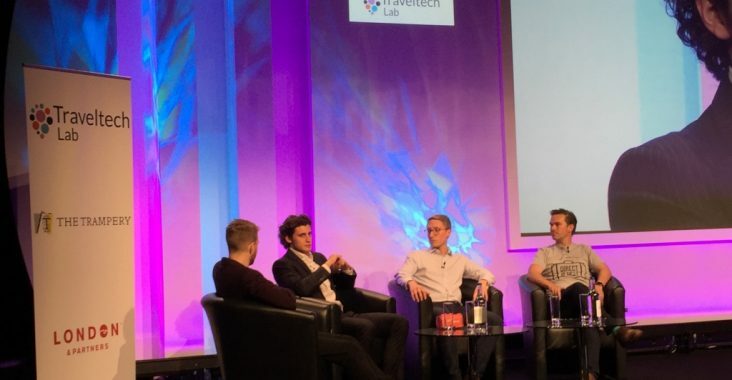 This was a showcase for some of travel tech’s emerging stars, bringing together spokespeople from three disruptive technology start-ups at very different stages of their lifecycle. Each company was given the opportunity to talk about how they’ve been tackling growth challenges, as they navigate the next phase of their evolution. Representing early stage growth was Nick Larson, Head of Europe for Timelooper. With the strapline ‘Travel back in time’, Larson talked about developing a virtual reality (VR) experience, which allows users to re-live specific moments in history by using a custom designed app in situ. Working in partnership with major attractions currently limited to a handful of global cities, visitors can pay an additional supplement (circa 20-30% of the ticket face value) and experience a flashback to a bygone era through the app, enhancing their visitor experience. The company also partners with the likes of Google Expeditions for the educational content market and CNN, who’s collaborated with them to create augmented content for their broadcast media programs. The most nascent of the three start-ups on stage, Timelooper’s biggest hurdle is about educating the market around the benefits of VR/AR technologies, and how they can be used to enhance the customer experience. Airportr founder and CEO Randel Darby wants to transform the way we travel. 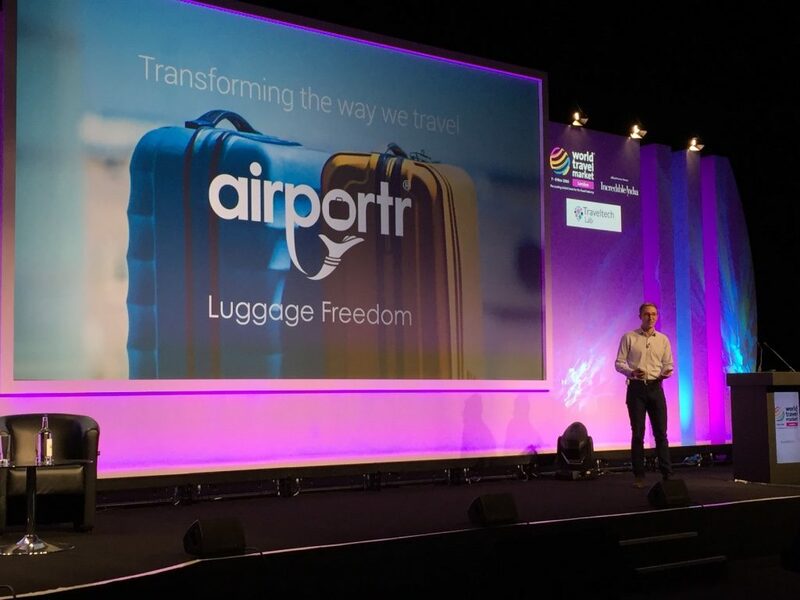 A convenience-based luggage transport service, the underlying tech platform powering Airportr integrates customer and passenger data by plugging in to a secure transportation and logistics network to bring bag check-in to your doorstep. Currently exclusive to British Airways (BA), your bags can be collected and checked onto your flight, leaving you free to enjoy the travel experience until it’s time to collect your bags again at your destination. Starting from £30 GBP ($40 USD) you can book online or via the BA website, and the immediate growth challenge is how to expand the service beyond London to some 30 global hubs. Airportr wants to be seen as an industry enabler, to help overcome capacity availability issues and encourage better utilization of public transport. 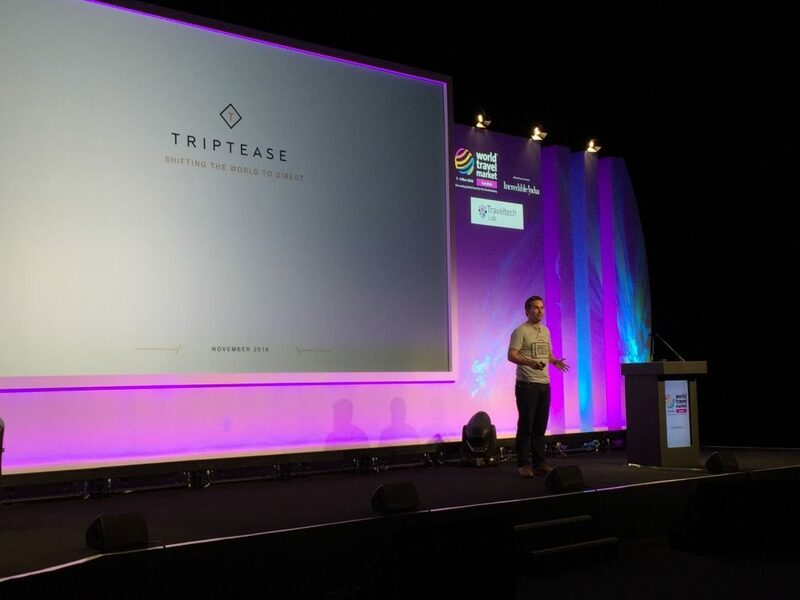 Tackling online travel agencies (OTA) head-on with their ‘Direct is best’ mantra was James Osmond, general manager for Europe at Triptease. Offering a SaaS-based solution (flat fee per month, or on a CPA basis) that sits across a hotel’s website to encourage direct bookings through different interaction points, the company closed a $7M funding round in February 2016, and already has 12,000 properties using the platform today. Triptease helps hotels create site stickiness by displaying real-time rates from OTA’s on the hotel’s website, encouraging browsers to book direct and properties to take back control of the relationship they have with guests. In stealth mode, the team’s currently focused on tackling how to build a culture of growth as they go after independent hoteliers and the mid-market segment. During the fireside chat, all three spokespeople touched on the challenges of finding talent and some of the frustrations around the available talent pool. Darby in particular spoke of the difficulties in finding developer resources in a city like London, where there’s never a shortage of competition for tech talent. Both Larson and Osmond spoke about the increasing fragmentation of the travel industry, quoting the obstacles needing to be overcome because of how business is often done in isolation. For Triptease’s more mature startup model, it’s about creating a winning internal culture to allow them to focus on building long-lasting client relationships. Whereas for newcomer Timelooper, the path to growth lies in developing the right partnerships to get their technology in the hands of the end-user at scale. As the session wrapped-up, Darby made an important point about established players needing to engage early stage start-ups and not see them as a threat. I agree wholeheartedly. In a sector that’s stuck in a stalemate of its own creation, crying out for tech-centric innovation, it’s pioneering startups like these that are finding new solutions to old problems. To drive forward a progressive agenda of change, we must wrap our arms around and support those championing innovation, as they continue to break new ground.